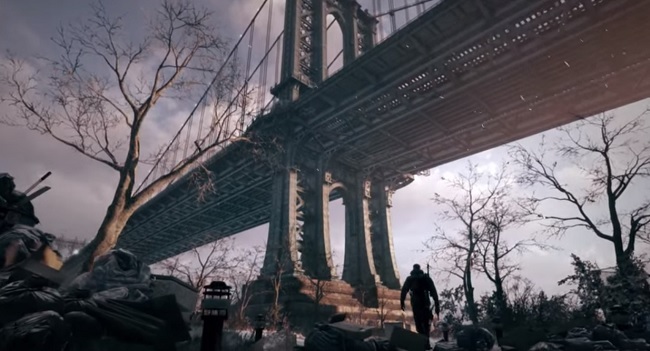 The Division is a squad based, RPG shooter that's set in a persistent open world. Developed by Ubisoft, the game has been delayed for 2 years but will now be released on March 8th 2016 for PC, PS4 and Xbox One. Although the Division is not strictly considered an MMO it clearly is. There's character customization, quests, levelling up, weapon progression, PvP etc. In many ways it's similar to Bungie's MMO - Destiny. The game plays like other Tom Clancy titles in that it's a cover based shooter; tactical firefights and strategy are more important for success than head on firefights. Players can't go Rambo down the street hip-firing their machine gun in the hope of blasting through the quests, this almost always guarantees instant death. In some ways the game plays a little like the Metal Gear Solid series in terms of approach, but it's a faster paced game than MGS and certainly more militarian in nature. Players start by creating a character - choosing customization options such as hair style, body build, skin type etc. As you progress through the game you build up your character, move to higher levels and claim rare gear to use in combat. Your player is with your throughout the journey. Teamwork is of critical importance in The Division. Players must select one of several skills including Security, Medication and Tech. Each of the skills comes with a variety of equipment and tools to use. By balancing the team's abilities and accounting for the oncoming threat, players can devise strategic methods to overcome the game's hardest challenges. With NPC's being an option you don't have to team up with online friends if you don't want to. One of the most rewarding aspects of any RPG/MMO is of course the gear. Fans we be pleased to know that there are many different types of loot in the game, with all sorts of collectible weapons from pistols, machine guns, rocket launchers etc. Weapons are classified into groups including the familiar rare and exotic forms that we've come to see in other MMO's like Destiny. Players can push their gear up a notch by modifying and customizing it with crafting stations. Level prerequisites, materials and the usual MMO factors mean that gear can only be upgraded a little at a time as you attempt to reach the master level. The backstory to the game is of course the outbreak that has overrun the city. One of the main objectives for the player is to explore and reclaim areas of the city, building up safe zones and controlling more and more of the region. To this effect, many areas of the infected city are reclaimable, allowing players to claim strategic outposts and open the door for new quests and opportunities. Reclaiming areas such as Police Stations and Power Stations also comes with the chance to set up supply lines, craft new gear and bolster the defence of the surrounding area. A large section of the city called the Dark Zone is a walled off area that the military built to try and control the outbreak but later deserted it after being overrun. Some of the best gear can be found inside the Dark Zone but you've got to accept the risks before going in. 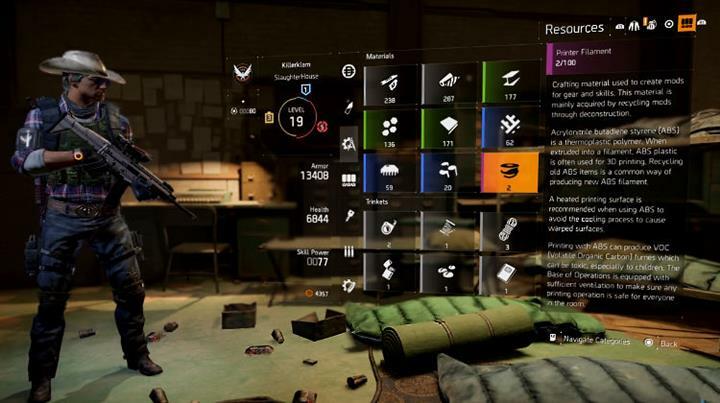 Unlike other regions in the game, the Dark Zone is a multiplayer area where players can choose to either help or attack each other. With lots of rare loot on offer do you choose to claim everything for yourself or will you choose to share it? 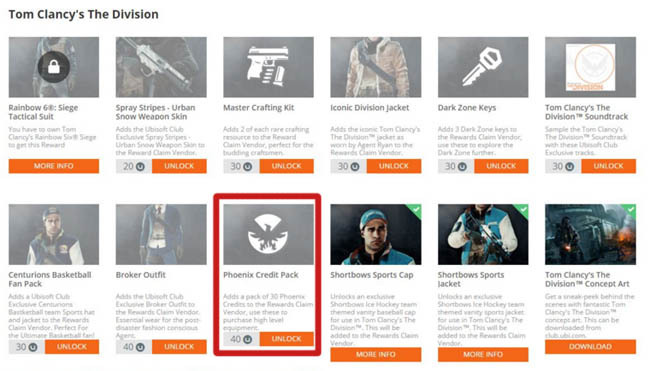 Extracting gear is the only way to permanently claim gear from a Dark Zone. It takes just over a minute for the chopper to arrive and an extraction to complete, all the while you are vulnerable to being attacked and potentially losing your newly found gear. This makes the Dark Zones a particularly hazardous and cruel area. Like most MMO's, The Divisions endgame is a progressive climb. As you move through the quests and explore further into the city the quests become harder, the enemies get stronger and you'll need your best gear and best tactics in order to survive. Reclaiming and purifying the city back to it's old self is the endgame element of The Division. 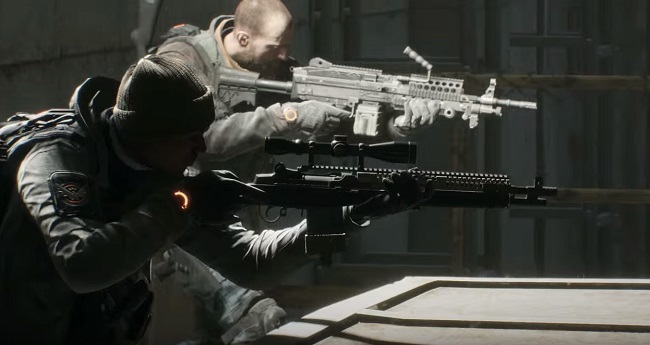 We've only been treated to a few trailers so far but The Division is shaping up to be one the best games of 2016.